Bees are crucial to agriculture and food security. 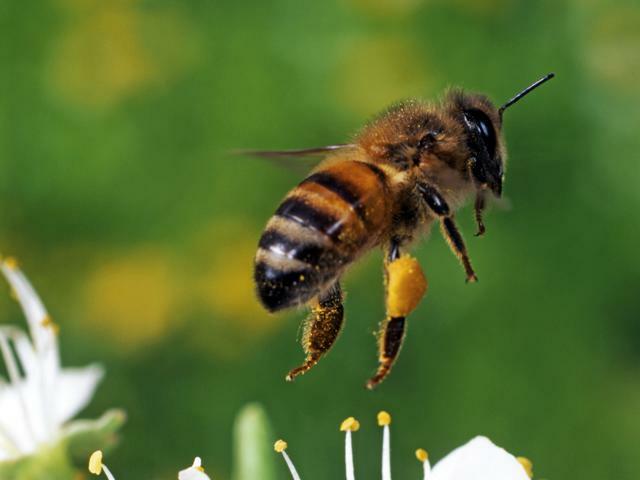 They pollinate about a third of the crops we eat, valued at more than $14 billion annually in the U.S. But this valuable resource is at risk. During the 2013-2014 winter alone, Ohio beekeepers lost 50-80 percent of their honey bees. Bees are dying in large numbers due to many reasons, including diseases, insect pests, loss of habitat and farm chemicals. Johnson is studying the unintended consequences of these insecticides as well as strategies to protect bees. For example, he has tested a lubricant that is applied to the seed to reduce dust, which shows promise in field trials. Honey bees pollinate about a third of the crops we eat, valued at more than $14 billion a year in the U.S.
OARDC and its outreach partner, Ohio State University Extension, work together with Ohio beekeepers and others to deliver programs promoting healthy bees and the environments that support them. Examples include presenting a monthly webinar series on bee health issues, holding monthly face-to-face educational programs with Ohio beekeeper groups, and starting a statewide network of 28 research and demonstration gardens at schools, parks, arboreta and OSU Extension offices.